When you work long hours and have little time off, you have to make the best out of the precious free time you have. Sure, the industry works you to the bone and your blood pressure goes through the roof on the daily, fortunately there are perks that come with the territory. From secret dinners to undercover deals we got you (... and your one friend who has the same day off as you). Ok, Chopped and Top Chef fans, this is your shot to see it live! (or participate!) Kitchen Clash is an awesome blend of lit house party and fierce cooking competition with the exclusivity of being RSVP and ticket only. Culinary titans from all over NYC compete for the chance to win the title of Kitchen Clash Champion! Past competitors include Chef Nick Williams of Littleneck, Becca Richards of Flex Mussels, Chef Ashley Holt (Chopped Champion), and Chef Stephen Yen of Paige Hospitality. Every culinary battle is composed of two chefs with 90 minutes to turnout 60-65 dishes in one kitchen to be judged solely by the votes of party attendees - so no pressure. Ticket sales are announced on their Instagram, each location is determined last minute, and is only announced via email days before. Get in on the heat, guts and glory here. It’s no surprise that Minton’s, an integral part of Harlem’s jazz culture roots, caters to the hospitality community. If you’re “in the know” then you have probably have been frequenting Minton’s Industry Nights for years. As customary of industry nights, these events are held Mondays, latenight, as many restaurant workers have Tuesday off. Drinks are all marked down to “industry prices” and admission is free (However, you do have to RSVP). With drink sponsors Milagro Tequila, Hendrick’s Gin, and Flor de Cana Rum, good times are basically guaranteed. Small bites are provided by African rooted, Harlem mainstay, The Cecil. Minton’s Industry Nights have all the makings of legendary nights to remember. Although sense of humor is required for these nights, the party swag and fun are serious business. 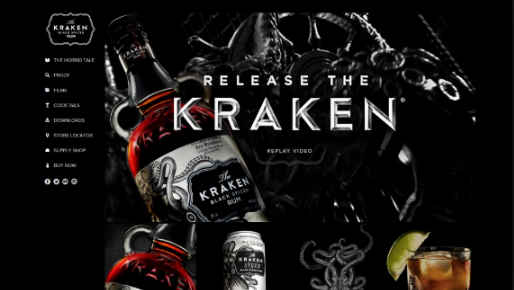 Kraken Rum throws events for those part of “The League of Darkness” an organization that, “worship[s] the heinous sea beast [The Kraken] and the black rum which bears its name”. Parties are thrown a few times a year, and invitees are sent coordinates of the exact location hours before each event via email. New members are given “League of Darkness” pins, Kraken rings, and a booklet with a metal card detailing their induction into the league. Events are open bar with all cocktails by, of course, Kraken Rum. With seafare inspired hors d’oeuvres, reputable DJ’s (DJ Chachi has made appearances), photobooths, secret rooms, free bottles of rum and traveling blackjack dealers, there is no boredom in sight on this ship! While admittance is invite only, there is an online quiz in which you can apply to be apart of the league, judging by the questions hospitality industry professionals are highly preferred. A popular bar with the happy hour and college set alike, White Oak Tavern, turns into a different story for “Industry Card” holders after 10 PM. Named after the oak trees in Kentucky, the proud originator of Bourbon, it’s no shocker that this place has a great reputation with the hospitality industry. Industry cards are given to restaurant professionals either at events or by request only. Each card entitles holders to receive 25% off all drinks Monday through Sunday from 10 PM to 2 AM, which means their already reasonable $11 beer flights, “Whiskey Bible” flights, and $4-12 small bites are reduced a great deal. Including the highly coveted, Kentucky Bourbon Barrel Ale, which is matured for 6 weeks in freshly decanted bourbon barrels. Don’t miss their twist on carbonara made with duck eggs (for extra richness), their decadent duck confit flatbread, and massive beer-battered onion rings for the sake of deliciousness ...and maybe extra padding for your stomach will be needed for the incoming alcohol. In 2014, one of the world’s greatest sommeliers, Aldo Sohm, gave midtown Manhattan a taste of the casual wine bar scene right next door to famed Le Bernardin. Almost two years after opening, the free hanging bulbs, and colorful, high saturation wall art of Aldo Sohm Wine Bar has yet to fade. What attracts industry regulars, besides the famous somm’s name and Chef Eric Ripert’s curated menu is the “9 PM Pour” (formerly, the 10 PM Pour). Every day a bottle is announced on the wine bar’s Instagram and Facebook pages, and is said to only include Sohm’s absolute favorites. Discounts may vary depending on the selection, but the vivacious and oenophilic crowd never disappoints… and neither do the Foie Gras Lollipops, which haven’t left the menu since the day it opened. The undisputed king of all things pasta, Chef Michael White, has given those of us with skinny wallets a chance to get a little chubby on some amazing plates of carby goodness. Osteria Morini’s “$10 Pasta Mondays” are still happily ongoing in SoHo, where you can choose from a selection of freshly made strings or pillows (depending on your order) of heaven to catch the wine you will inevitably order. Luckily, the portions do not change from dinner. However, only those “in the know” benefit from the deal, and with dishes down from $20-24 - it’s a steal! Reservations are limited and only taken 9 PM onward via phone, sorry, no OpenTable points here, but walk-ins are warmly welcome with availability. It is highly recommended that you call ahead before venturing in on a random Monday night, as private events can sometimes pop-up and interrupt the public flow of pasta. In between her consulting business and appearances on Food Network shows like Chopped, Beat Bobby Flay and Cutthroat Kitchen, Chef (and we’re guessing superhero) Jenny Dorsey, hosts private monthly supper club called, “I Forgot It’s Wednesday”. The ICE and Colombia Business School educated, Dorsey, features seasonal ingredients for all of private dinners. A few of her September 2016 seven course menu highlights include a Mussels Escabeche with Dill Seeds and Lolpar, as well as a Handmade Squid Ink Pasta with Fermented Tea Leaves. Only those on the “I Forgot It’s Wednesday” mailing list can buy tickets, and availability is announced on the supper club’s Instagram account. Be sure to be on top of your email, and IG feed during ticket sales because they sell out - FAST! Can’t make it to an industry night event because you’re swamped with recruiting needs for your restaurants? Try Harri!